Somewhere in the world it will be bright and sunny. I don’t think that will be in our neck of the woods though. In fact the sun seems to be in hiding this month making for quite the dreary March. So we thought for our flashback this week, we’d bring you a little plate of sunshine. You know when life hands you lemons…well, we make lemon tarts! 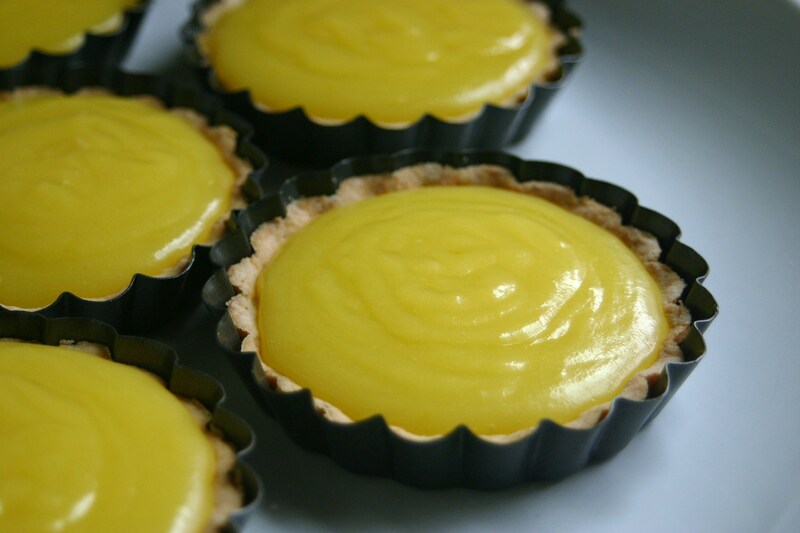 These particular lemon tarts were made in the summer of 2011 when we were cooking recipes from Ontario, Canada, and are easily another one of our favorites. For those of you that haven’t seen this one before, we hope you enjoy! Next week we will post a little bit about what we’ve been up to in our absence, and then we’ll be back, rested, and ready to go! “See” you all soon. 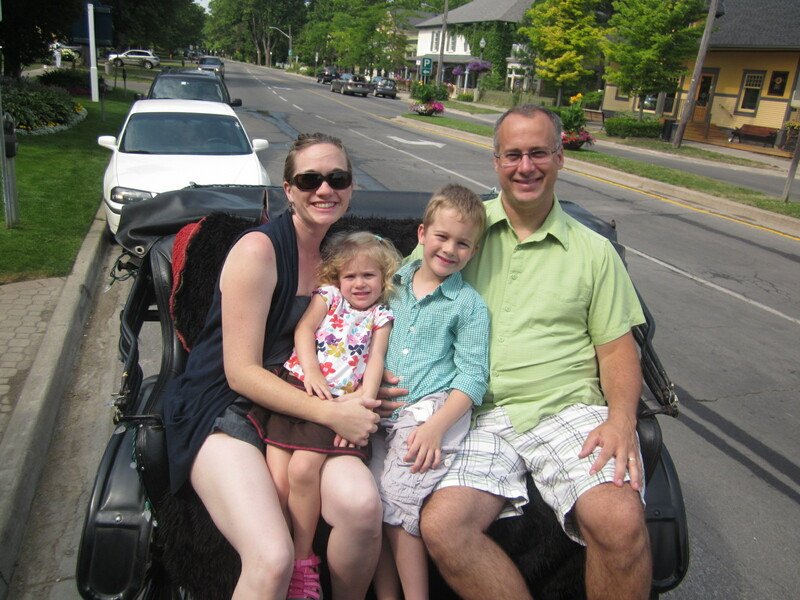 A carriage ride for our princess A.
We’re now on to our new international cooking destination. Mike is at the helm this time and has selected our neighbor to the north, Canada. Canada is the second largest country in the world, next to Russia, so we’re breaking it into regions and starting with Ontario. After our ride, the guide recommended a little place, Balzac’s coffee, for coffee, lemonade and in her words, “an amazing lemon tart.” Sold! Miss A and I both decided that we needed lemon tarts. So while dad and Mr. N enjoyed their beverages, Miss A and I gushed over our tarts. I don’t know if it was because I was hungry, that it was vacation or that this was just really that good; but this was the most delicious lemon tart I ever tasted. Even Miss A finished off her entire tart, and that’s saying something. So for our first Ontario recipe, we’re making, what else?! A lemon tart! We started with my favorite part, the pastry crust. 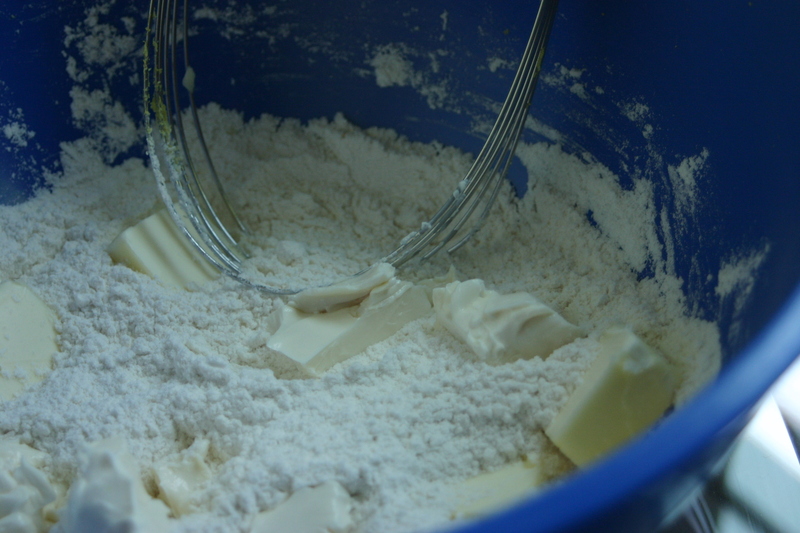 We mixed the flour, sugar and salt together in a large mixing bowl and then added the zest of one lemon. Next we cut in the butter and some fat free cream cheese. 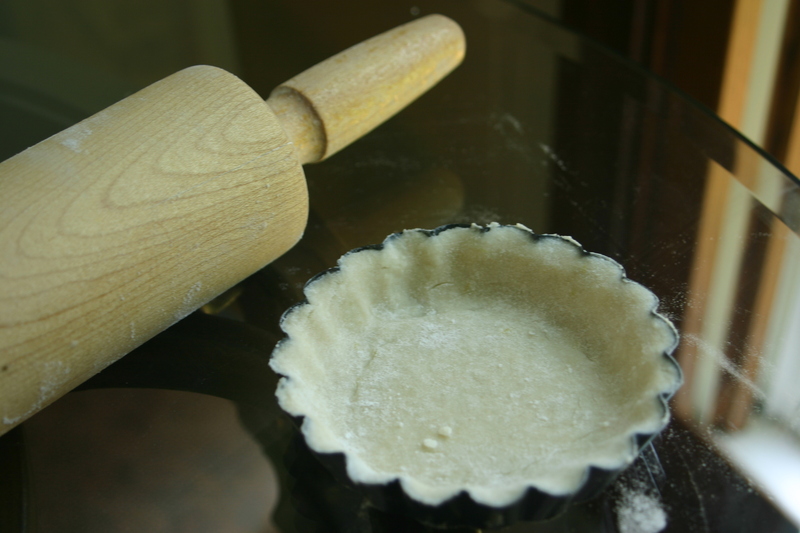 Using the pastry blender we created a coarse meal, then mixed together two tablespoons of water and a 1/2 teaspoon of vanilla extract. 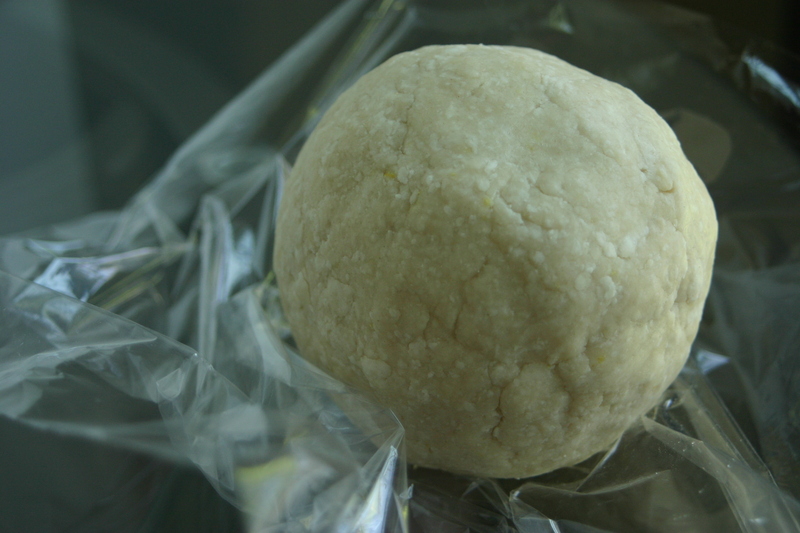 We sprinkled the vanilla water over the flour mixture and after some gentle kneading we formed the dough into a ball and wrapped it in plastic wrap. 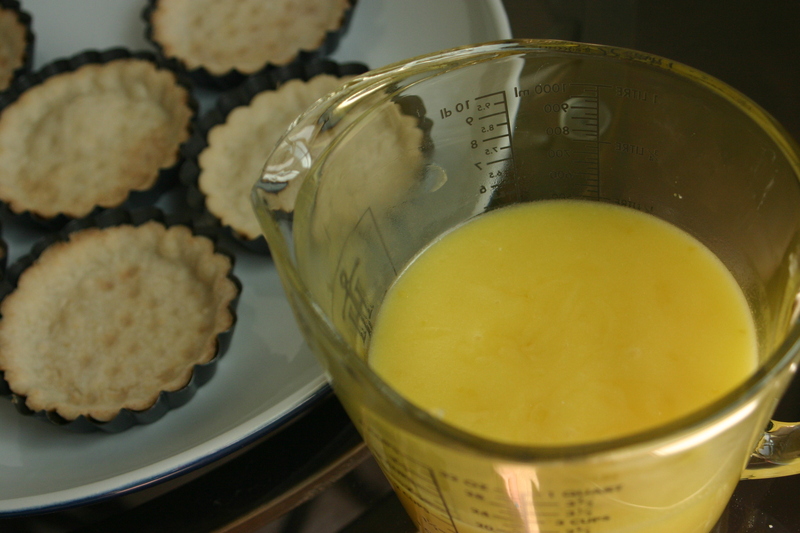 While the dough refrigerated for 30 minutes, we began to slice and mince the peel of one lemon for the tart filling. By mincing, rather than zesting, the lemon peel it provides little surprising bites of deliciousness in the tart filling. We then returned to the dough, rolling it out for the mini tart pans. 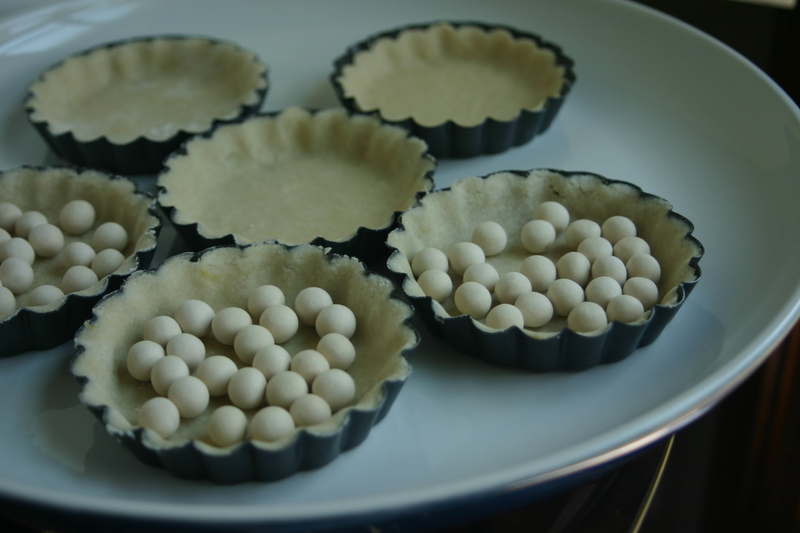 Miss A then helped me to add the pie weights into the tart shells for baking to prevent any bubbling of the crust. We baked the crust with the weights for about 15 minutes, removed the weights and baked them for another 5 minutes. We then set them aside to cool completely. In the meantime, Miss A and I prepared the filling. 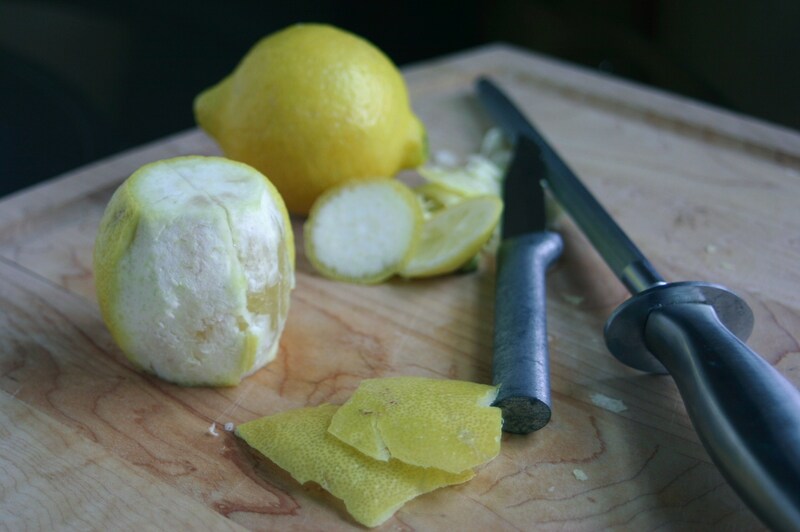 We started by juicing the lemons. Look at her go! 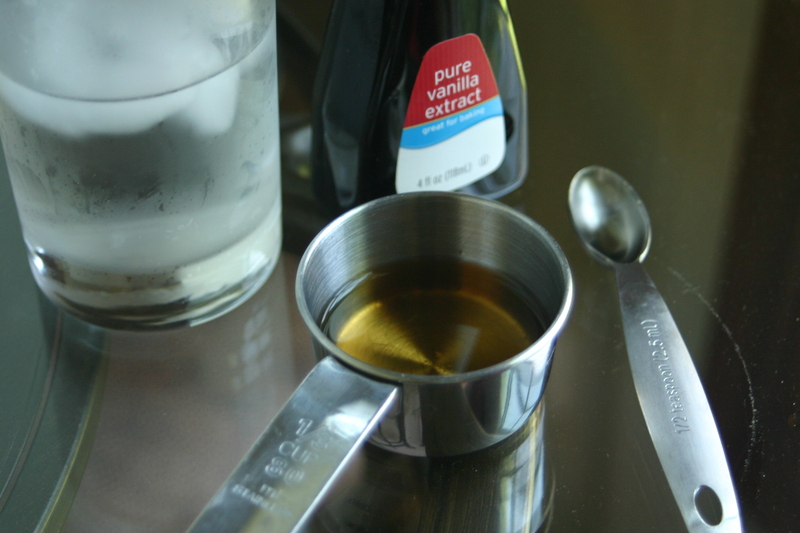 We then whisked together the minced lemon peel from earlier, sugar, eggs and lemon juice in a small sauce pan. 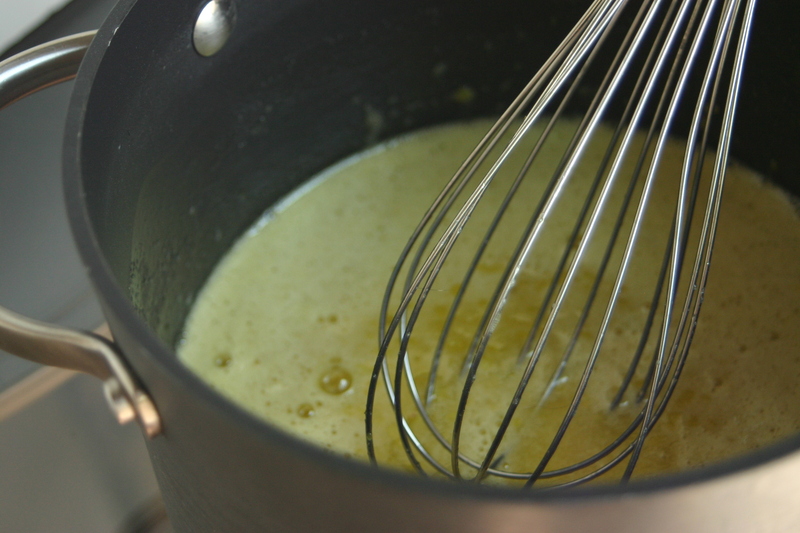 Next we cut in the butter and let the mixture cook over medium heat until simmering and the butter melted. Make sure that it doesn’t boil. Once the butter melted, we brought the heat down to a simmer and stirred it constantly for 7 minutes. Once the filling cooled it was ready to pour into our tart shells. We used about 1/4 to 1/3 cup per tart. They were then ready to refrigerate. I almost couldn’t wait until the next morning to try these, but they were worth the wait. The crust was perfect – with an ever so subtle sweetness – and the lemon filling was rich and full of lip puckering goodness. I like my tarts more sour than sweet and these hit the mark. These little plates of sunshine easily got my 4 spoon vote. They weren’t quite like Balzac’s, but if I can say so myself, they were better! Dad also gave these 4 spoons, as did Mr. N and Miss A. Looks like we have another winner on our hands! Somehow my comment sent before I was done! :O . Anyhow, Kristy, I am thoroughly impressed with these tarts which are not gorgeous but look divine to eat. 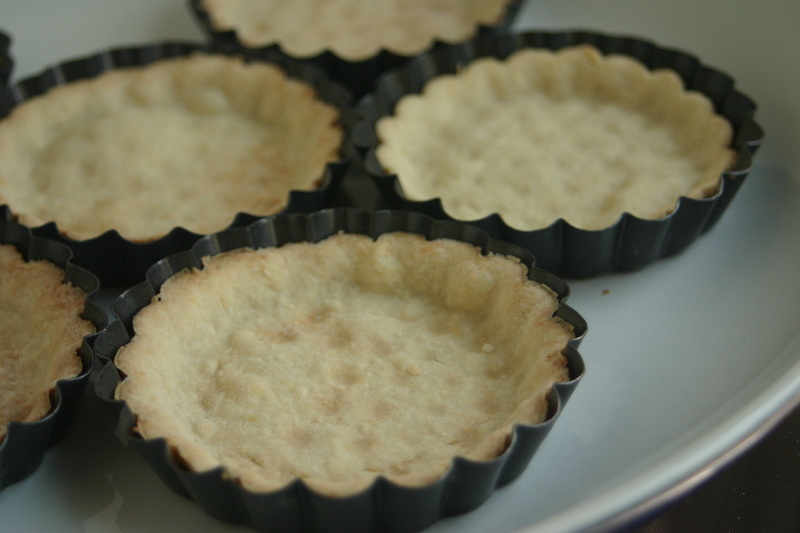 These tarts are sunny perfection and would bring warmth to any table. You guys are amazing! Thanks for bringing a little sunshine in my day, all the way to cloudy and overcast Hong Kong. 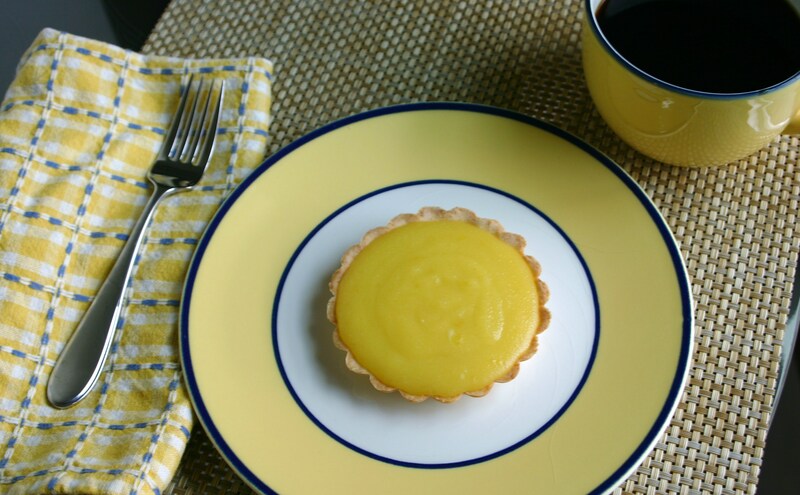 Your delicious little lemon tarts are so cheery and bright. Loving Miss. 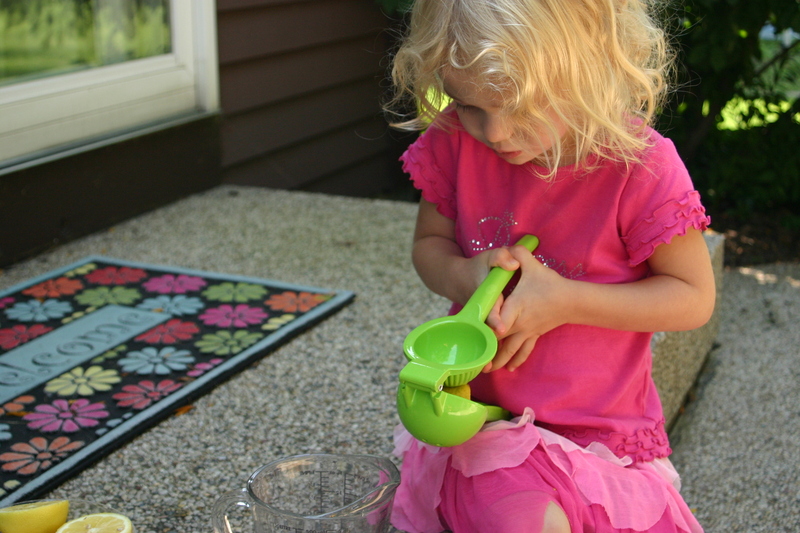 A’s tossle of blond hair as she diligently works on squeezing the lemons, such an awesome little helper. Lemon is my favorite flavor for desserts…actually in lots of dishes. Mm, you know how nuts I go for lemon. The ol’ lemon tartlet is one of my absolute favourites from patisseries here. I remember this post well – I loved how beautifully sunny they looked and just looking at them I can almost taste the “zing” in my mouth :). Oh I remember these beauties! It is a gloomy day in my neck of the woods and your lemon tart would certainly bring on the sunshine, 1 please, no make that 2 please. Hi Kristy, I am indeed looking forward to more Canadian recipes. Although I’ve not had the lemon tart from Balzac’s I do know it well. Were you in the Distillery District or Liberty Village? Both are gorgeous locations. I do hope you visit again, I’d love to buy you a coffee! The Sun may be hiding behind the clouds but your tarts sure bring a little bit of sun to the plates. That’s what I like most about citrus this time of year. Their color and taste really do brighten things up a bit — just what we need to get through March. wow – hope it’s all going well and lots of fun! these tarts are simply beautiful – I can just imagine how delicious they are! I completely remember these beautiful tarts!!! I hope you are having fun, and can’t wait to hear about it! Welcome to my part of the world. It’s been a while since I visited the Niagara area but I remember my voyage on the Maid of the Mist in those slickers and the trip into the bluff through the tunnels to look behind the falls fondly. 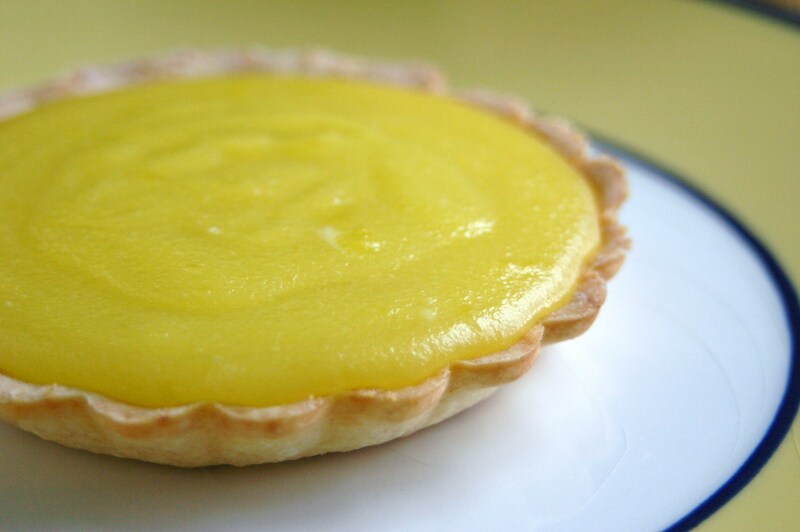 I’m sure ANY day will be brighter if someone had one of these lovely lemon tarts to enjoy. It’s like a little sun all by itself. I love these little lemon tarts. They’re just the perfect size for individual servings. Who wouldn’t enjoy their own little tart on a plate. How great that your little girl pitches in to help!